All RANCH COLONY/ RANCH ACRES homes currently listed for sale in Jupiter as of 04/19/2019 are shown below. You can change the search criteria at any time by pressing the 'Change Search' button below. "Palatio Centum Palmas ( Palace of One Hundred Palms) has 7.6 private, peaceful & pristine acreage bordering thousands more of preserve, in gated Ranch Colony. 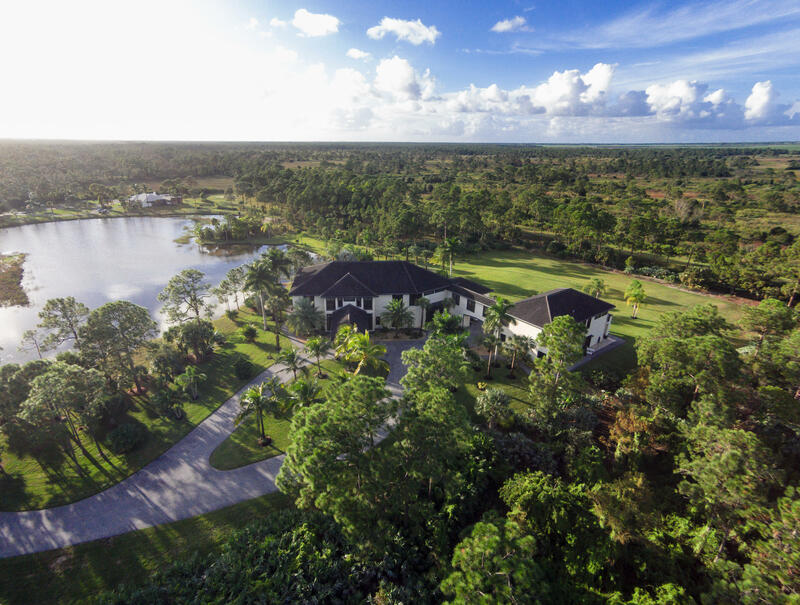 Custom Estate which falls just under 12,000 sq ft of living areas including a 3 bedroom guest house adjoined by a 2nd story bridge. Main residence features Master suite w amenities incl 3 fireplaces, his and her offices, double stairwell, formal living areas as well as informal, gourmet kitchen, media room, fitness center, guest rooms, all opening out to views of the grounds, summer kitchen with outdr fireplace and a resort style heated 55' pool with island and whirlpool. Guest house has 2 living areas and 3 more bedrooms. Privately gated. This home comes fully furnished with certain decor that does not convey: see more remarks"